December 6, 2015 : We had planned to wait and watch the situation as it was getting back to near normal. 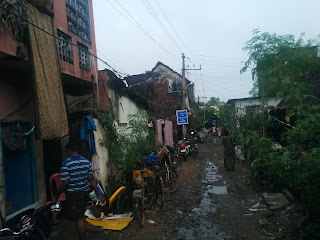 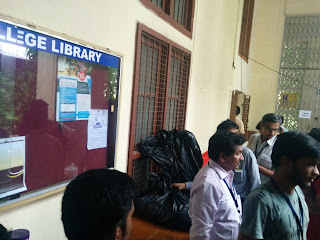 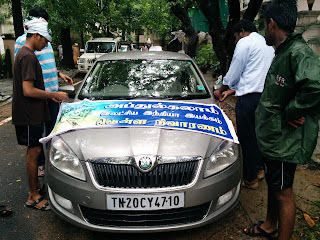 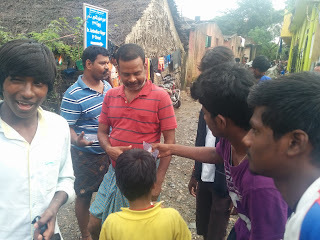 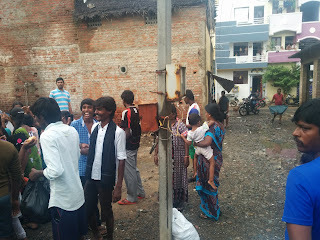 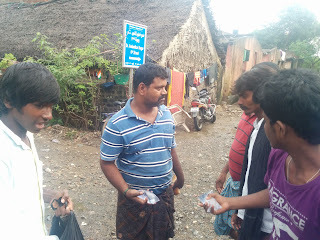 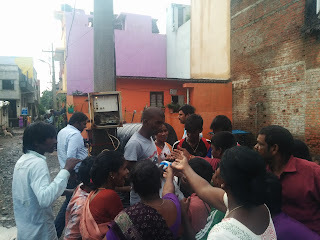 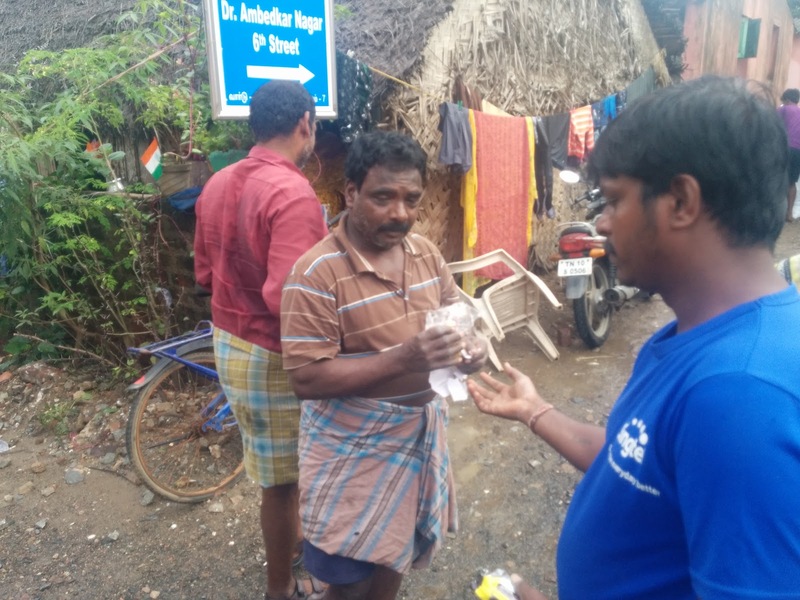 Thanks to information and help from Dhanapal sir - Raja Raja Rajansir, his friend Varun and myself we collected the relief material drinking water, candles, matches and a few towels from Dr. Kalam vision movement. 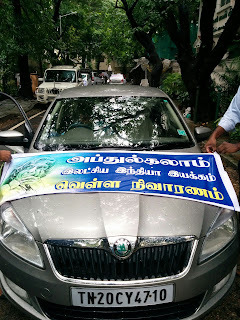 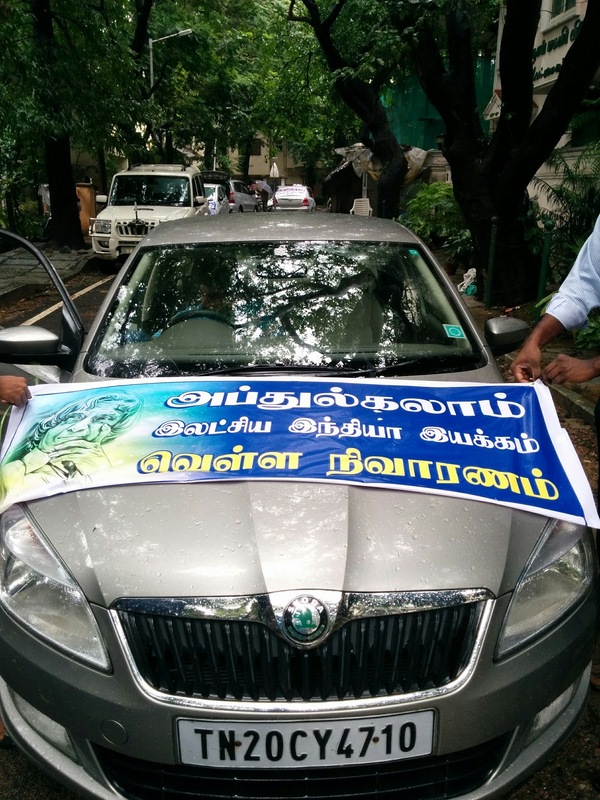 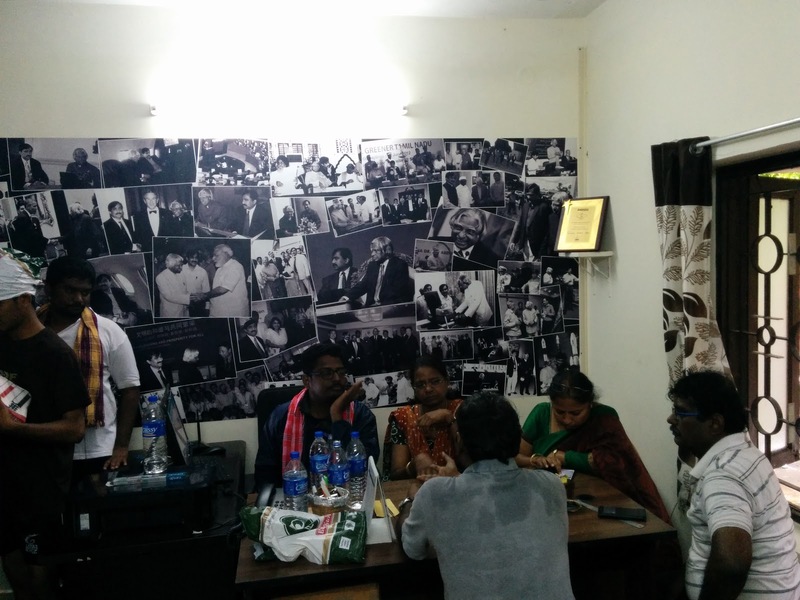 It was wonderful to note that we had group of youngsters from various parts of TN volunteer at Kalam sir office. 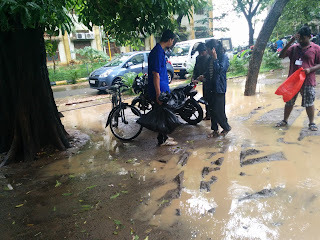 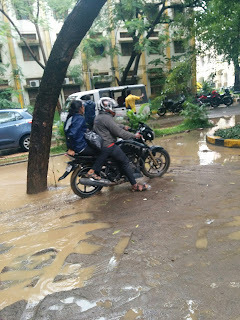 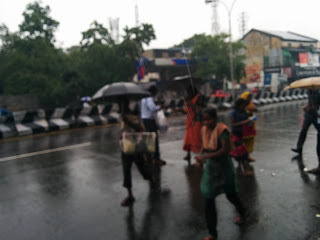 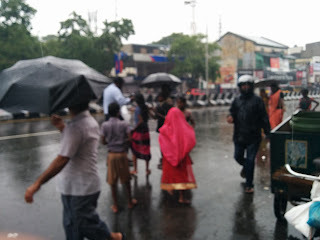 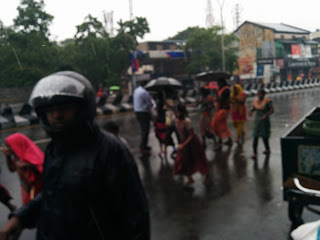 It was raining heavily from morning and did not seem to relent. 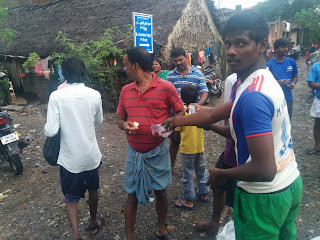 We headed towards JITO to collect blankets as one of our friends had received message about the same. We found that there was huge demand and they would require a day to process. 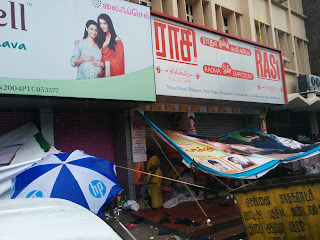 We visited nearby co-optex, unfortunately it was out of stock on bedsheets we were looking for. 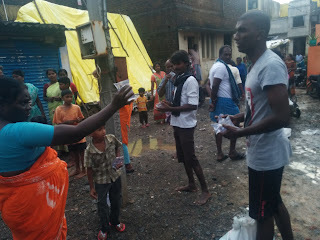 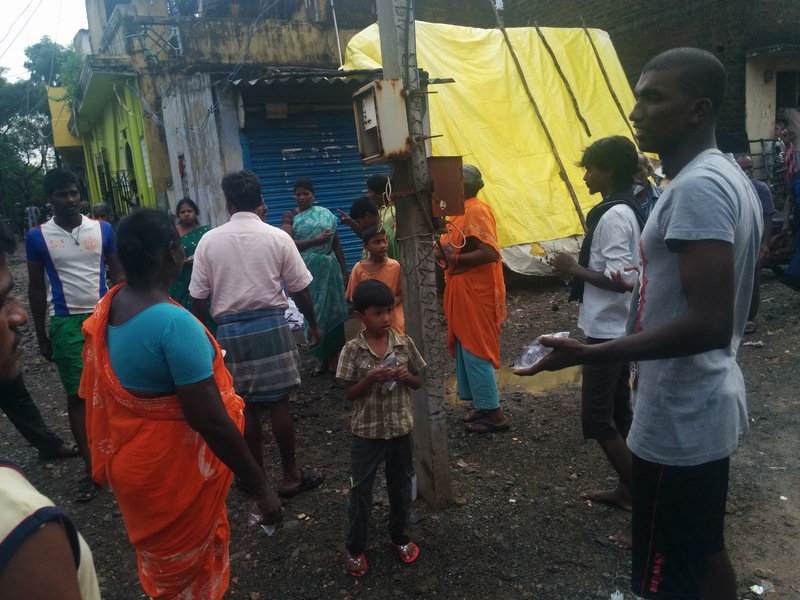 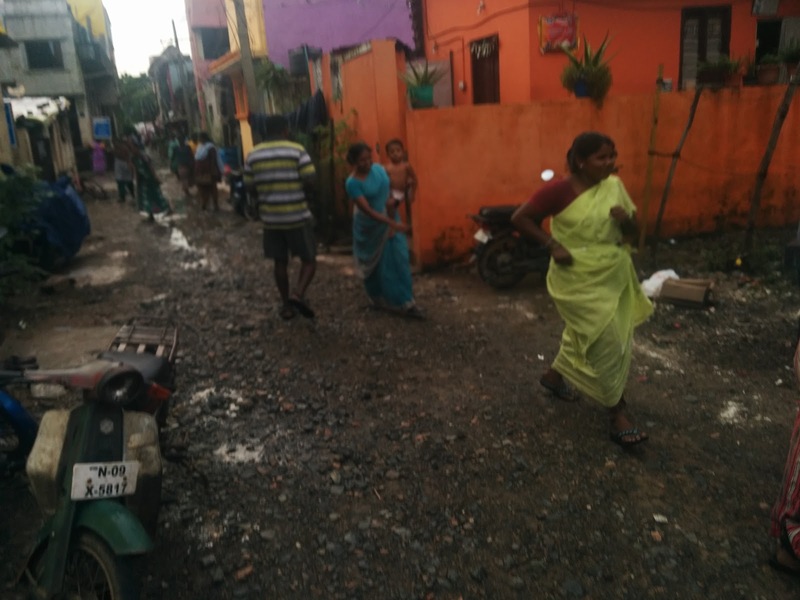 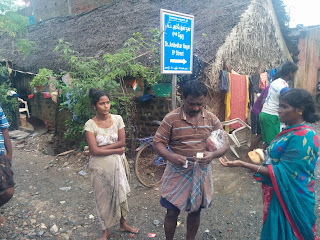 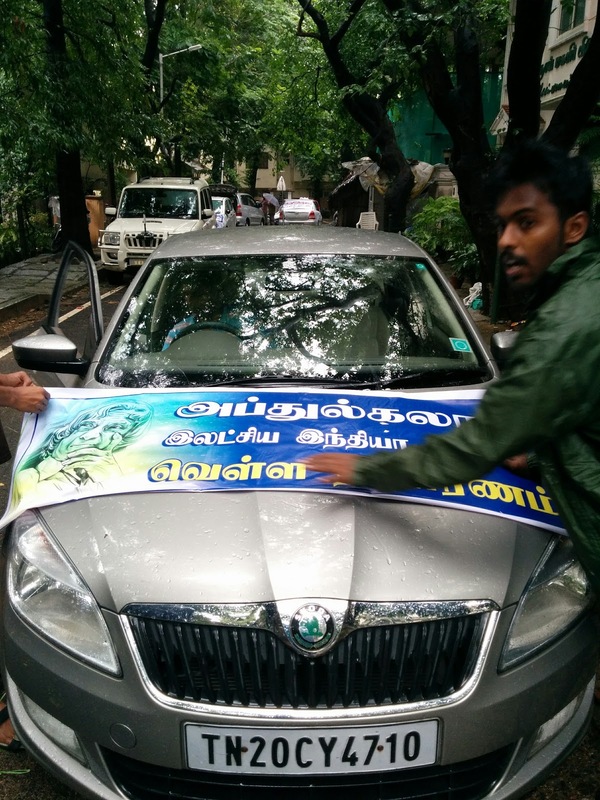 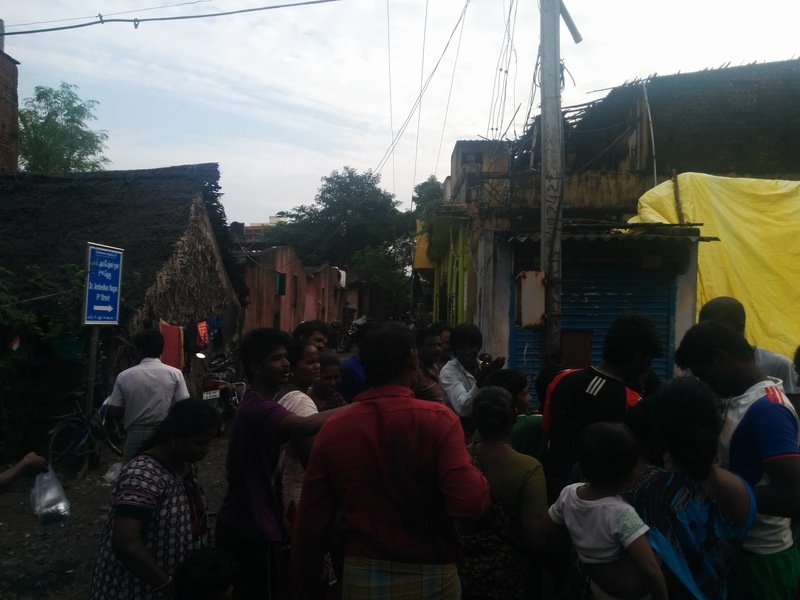 We then got a message from Krishnavillasam about 300 food packets being available. 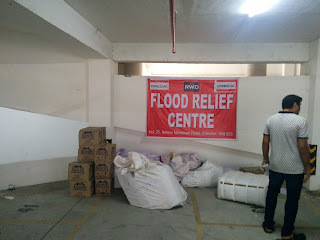 We collected 250 of them and delivered it to Loyola relief center as per the call we received from a volunteer. 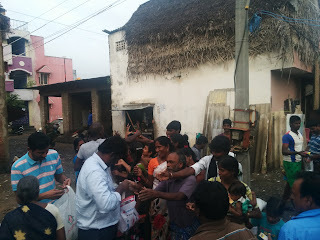 We found that there was some shortage on food supply today at a few places. 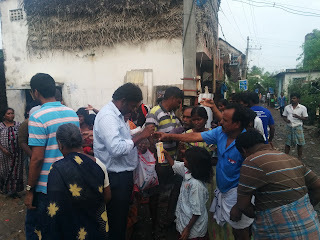 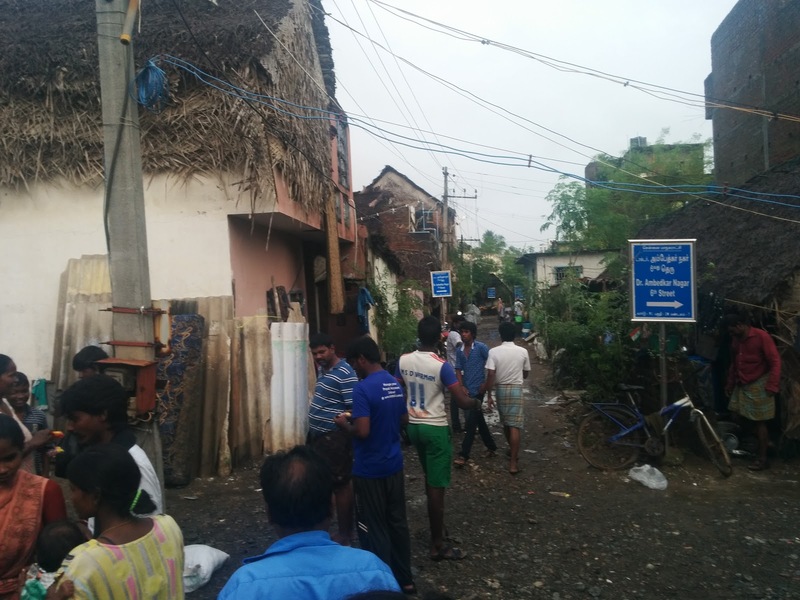 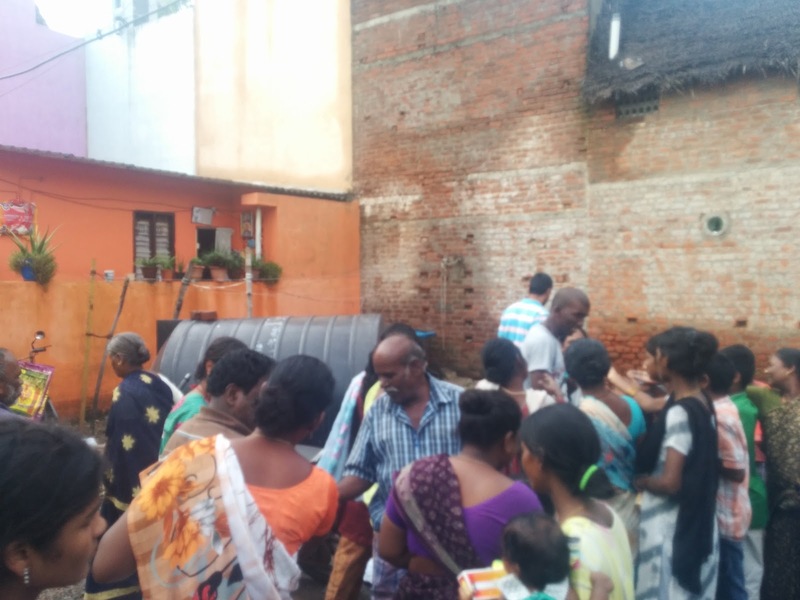 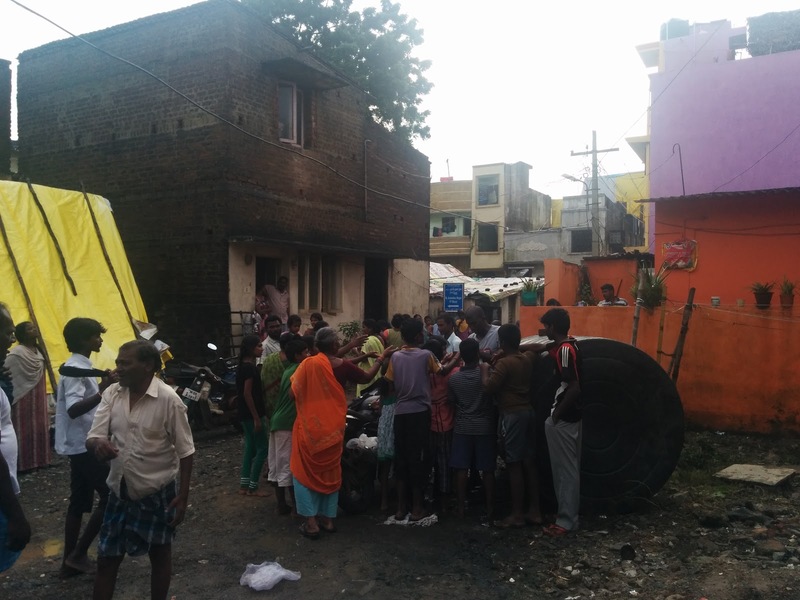 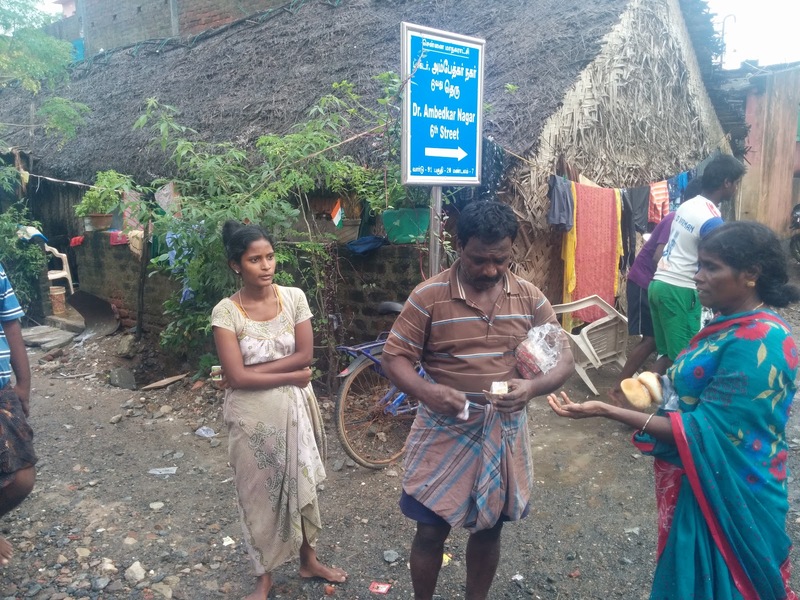 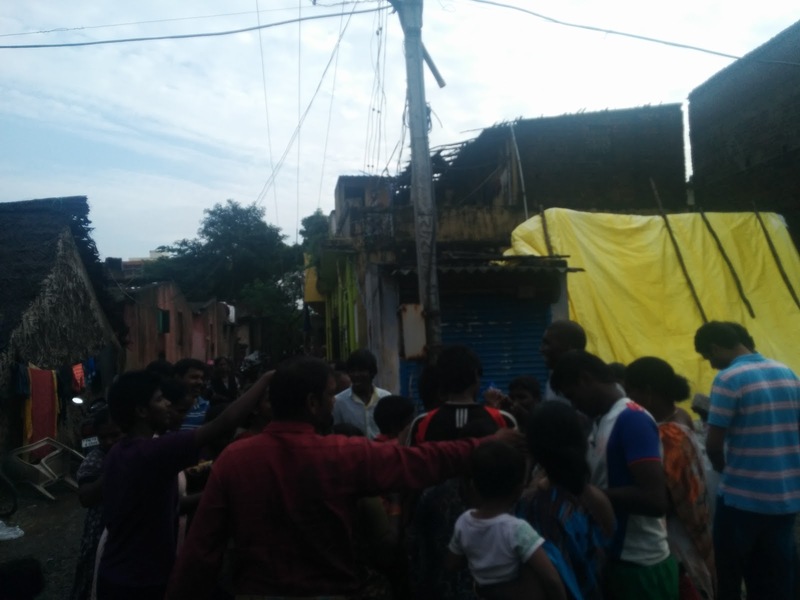 From there we proceeded to eri scheme mogappair and distributed biscuits, bun, candles, water packets and other items to all residents who were affected by flood. 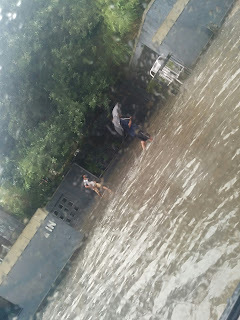 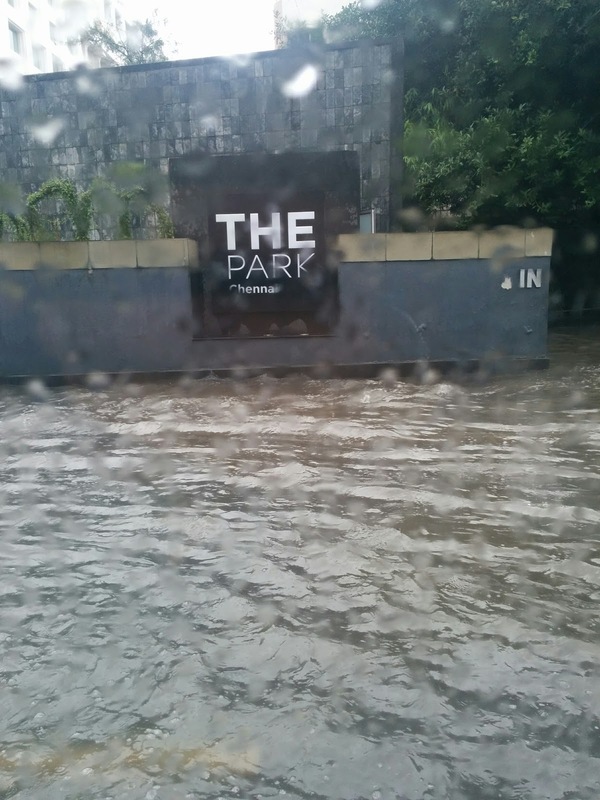 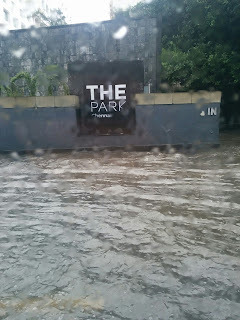 On the way, near the new bridge that connects the PH road to mogappair, we found around close to 500 people waiting.. On inquiry we found that they were waiting for people to come and distribute relief items. 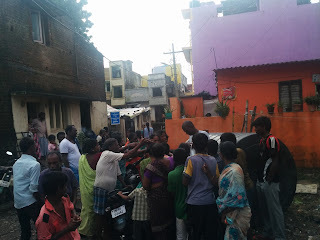 Many had come and left midway as handling the crowd was difficult. We could sense that situation has improved and now people want expectations to be met rather than their need. 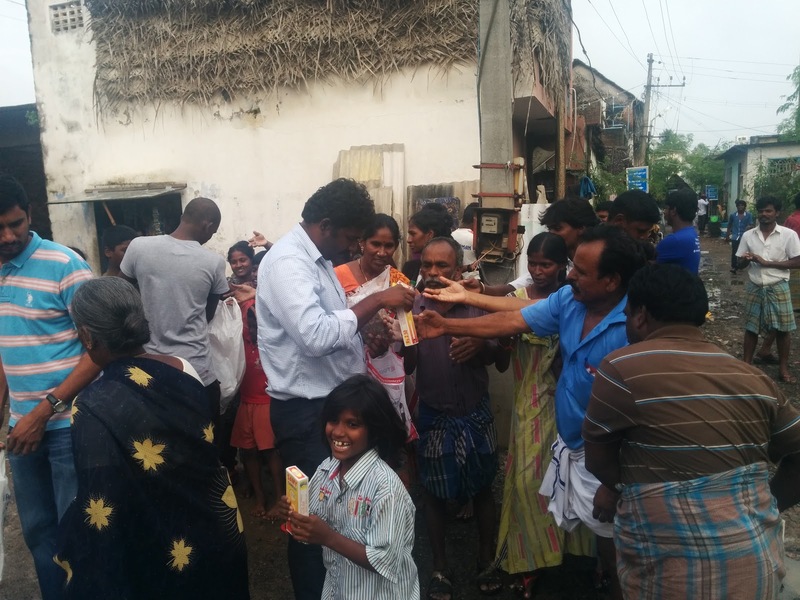 We also had few items like water packets, sanitary napkins and a few more items for distribution at vaangaram. Thanks a lot again to Dream India, APJ Kalam vision movement, Patterns, Vasantham Special School, Action2020, MREC Tamil alumini friends, TCS sagas friends and many other friends for the support.